For the 50 million Americans that suffer from nasal allergies, warmer temps usually means runny noses, watery eyes, and other irritating symptoms caused by indoor and outdoor allergens. 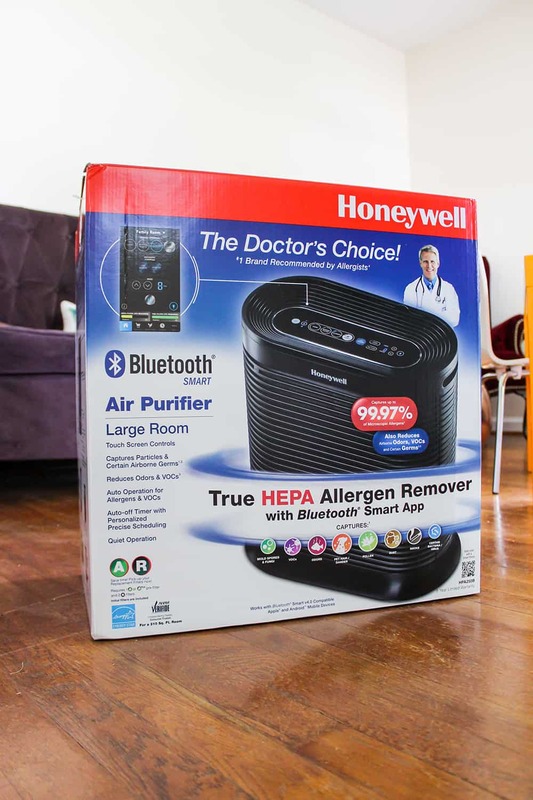 This includes my little family in the Midwest, so when Honeywell wanted to send their new Bluetooth Smart Air Purifier with HEPA filtration, I jumped at the chance. Between moving into a new (old) house where unknown pets lived previously and being in one of the many high pollen periods in our area, any little bit of relief for me and my kids is a welcome guest. 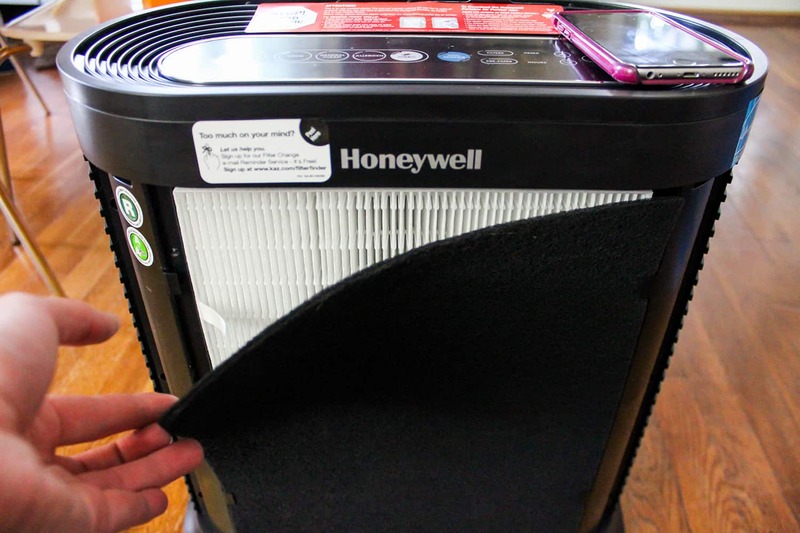 My first wow moment during unboxing was finding that there are two levels of filters within the unit — two smaller HEPA filters, and then a pre-filter layer between the HEPA filters and the machine’s vent. If there’s a particle to be caught, this thing was surely going to nab it. Setting up the Bluetooth functionality was super simple — just download the app and follow the prompts to connect the device and adjust your personal settings. 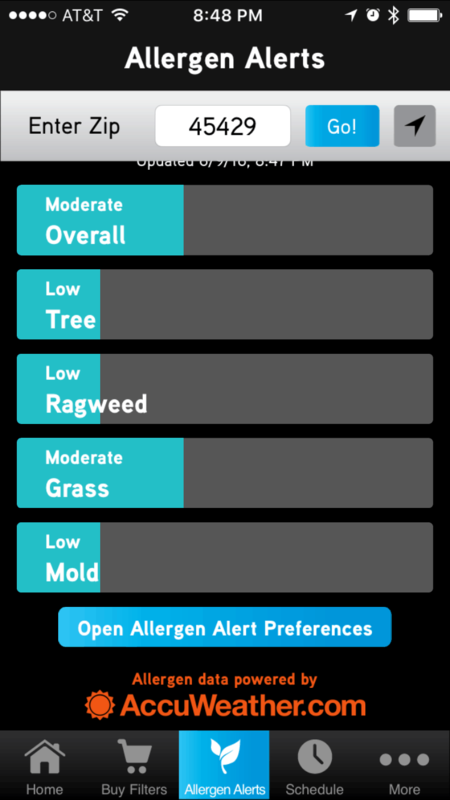 I was able to easily connect, name this particular unit, and set program times as well as use my zip code so the device could recieve real-time updates on common allergen levels via AccuWeather data and automatically adjust the air purifier’s run setting when local allergens are at their worst. 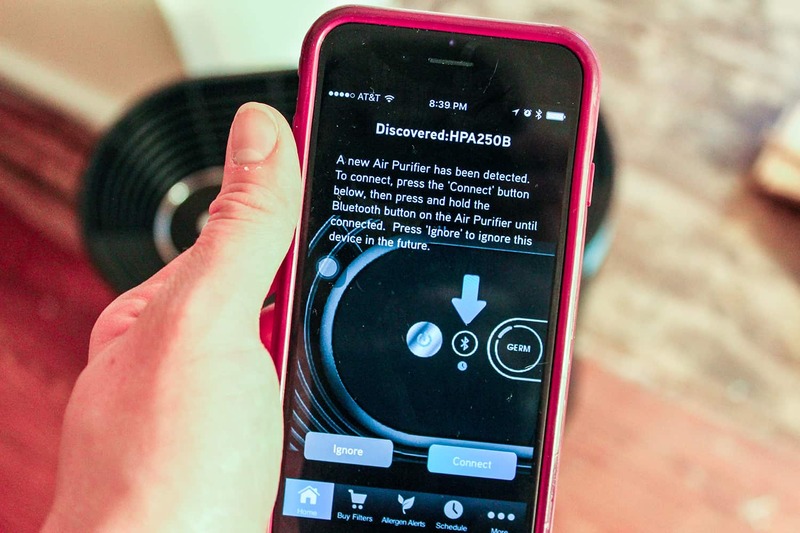 One of my favorite features of the app is the ability to communicate with the air purification unit from anywhere in my house. As I set it up in my kids’ room, being able to turn it on or off while I’m downstairs after their bedtime is just that extra little bit of perfection I seriously appreciate. After running the unit in their room for about a week, both of my littles were less sniffly and sneezy generally over all — which became even more pronouced when I moved it to my room for a couple of nights and I could literally hear the difference in their morning voices. I slept like a baby with it in my room as it is insanely quiet while running — I was more than a little sad to set it back up in the kids’ room, but with individual unit identification and profiles, I may just have to add another air purification unit to the mix. 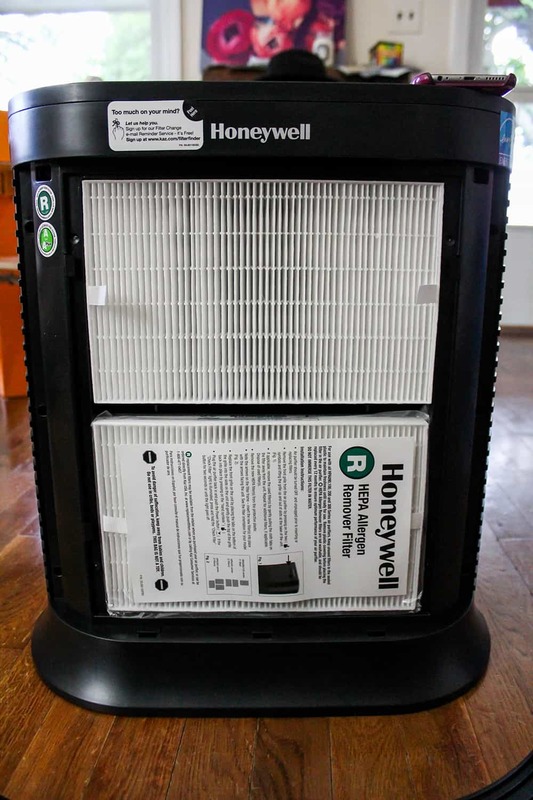 Thanks again to Honeywell for the opportunity to breathe a bit easier this allergy season! Not Feelin’ the Purple House on the Corner?